access to this exciting competition. Join the RSNC – Free Membership included! 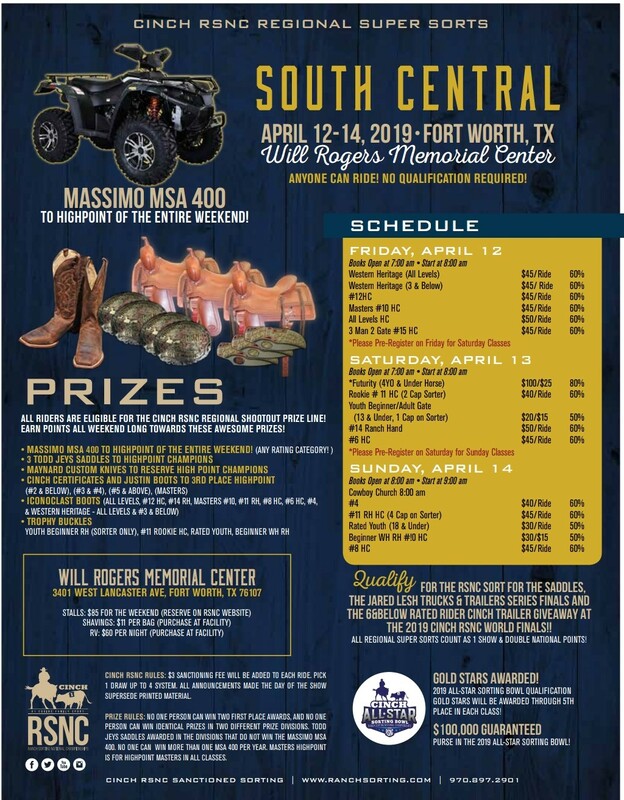 Bring your horse and have fun! timed event competition with true to life cow work. Join us and be a part of this great ranching lifestyle! The great sport of Ranch Sorting is exploding all across the US and we at the CINCH RANCH SORTING NATIONAL CHAMPIONSHIPS couldn’t be more excited. We are now over 24,000 members strong, with over 3000 shows produced, and over 5000 teams annually attending the World Finals! 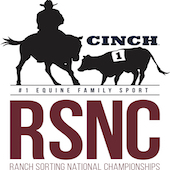 It is the mission of CINCH RSNC to lead the industry in developing and improving the sport of Ranch Sorting through affordability and a fair rating system. Our goal is to preserve the heritage and integrity of the ranching lifestyle while providing a family oriented, competitive riding experience at the grassroots level. Thank you to our Sponsors – our success wouldn't be possible without you!